Home » Ask a Frenchman! » Happy Bastille Day? 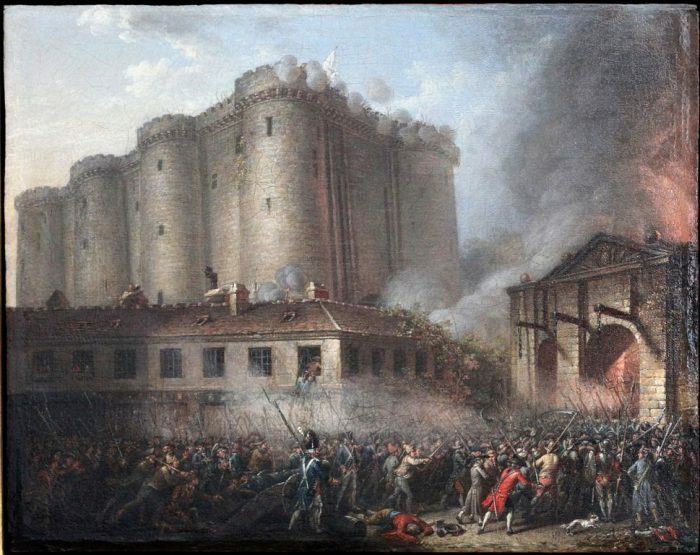 I guess that July 14th is the perfect day to tell you a little bit about Bastille Day, especially because there are a lot of misconceptions about it in the English speaking world, or rather about how Bastille Day is celebrated in France. So, here are a few debunked misconceptions, details revealed, traditions explained (or not). I hope I’m not forgetting too many. If you find some I forgot, the comments are here for that. Thanks in advance. Bastille Day can be roughly seen as the French Independence Day in the sense that these two holidays (I’m talking about the US Independence Day, but I assume it can apply to other Independence Days from other countries) are roughly equivalent in importance, symbolism, etc. These two holidays are the “Nation’s Holiday” in their respective countries. But this is pretty much where the similarities stop. First and foremost, It’s not the French Independence Day simply because France never was a colony and thus never had to become independent (one can argue that France was a colony of Rome 2,000 years ago, but I’ll respond that France didn’t exist at all at the time, it was just the geographical area that were colonies of Rome). Also, Bastille Day is not really perceived and celebrated by French people in the same way that Independence Day is by Americans. What does Bastille Day celebrate then? If you don’t know the answer to this question, I think it’s time for you to open a French History book. And to answer it in one line: it celebrates the day when the French Revolution “officially” started by the storming of the Bastille, which was the “royal prison” at the time. Oh, by the way, the Bastille fortress is long gone (its destruction started pretty much right after being stormed), so please when you go to Paris and to Place de la Bastille, don’t make a fool of yourself asking where the fortress is (don’t laugh, I have been asked that question once, and I have overheard people in the subway thinking about visiting it). But, when you’re there, if you look carefully, you’ll see the outline of where the fortress used to stand back then (hint: it’s near the end of rue St Antoine and boulevard Henri IV). Also, on the platform of the line 5 of the metro, you’ll find the outline too (the strange yellowish line on the floor) as well as a parts of the counterscarp. Also, if we want to get technical and nitpicking, Bastille Day as a National Holiday celebrates the Fête de la Fédération that took place on July 14th 1790. Of course, it took place on that day because it was the anniversary of the storming of the Bastille. Several more or less formal and more or less official events took place at various occasion on July 14th until the holiday was made official in 1880. Then, some lawmakers used the “let’s celebrate the Fête de la Fédération, because it was a joyful day, whereas Bastille Day was bloody and violent” argument to have the vote passed. So yes, technically the French holiday of July 14th does celebrate the Fête de la Fédération. However, I strongly believe that on such a day (nothing less than the Nation’s Holiday), what matters is what it represents for the people and not what argument was used by a lawmaker (we’re not talking about an American courthouse here, meanings are not found in technicalities). Why do French people look at English speakers in a funny way when the latter wish the former a “Happy Bastille Day”? The first one is that in France, one doesn’t say “Happy this or that” for every holiday. Christmas and New Year’s are the two only days I can think of when people great each other with a special “Happy something” (maybe Easter too, for Catholics?). The second reason is that, unless the French person knows English, they’ll have no idea what “Bastille Day” is, as it’s an English appellation only. -The usual one which simply is “le 14 juillet” (aka July 14th). What do French people do on that day? A bunch of things. First of all, as it is in July, it takes place during the kids summer break, when a lot of adults take their vacations too, which means that a bunch of French people are on vacation on that day, and in that case they might not even celebrate it at all (I rarely celebrated it when I was a kid as I usually was either out of the country or vacationing at the beach on that particular day). Another important thing is what French people don’t do on that day, and that is a barbecue. When July 4th is usually the occasion to get together with family and friends and have a barbecue, no such thing in France. Whether you celebrate it or not, this is not a holiday that involves food and/or special gatherings (yeah, a French holiday not involving food, it does exist). Don’t get me wrong, of course, you’ll always find people that’ll have a barbecue on that day, but they’re not having it to celebrate July 14, they’re having it because it’s summertime and it’s a day off. So, what is it that they do then? First, in the morning, there’s the big military parade on the Champs-Elysées (and possibly smaller ones in other towns) and French people have this tendency to watch it on TV. Tourists that happen to be in Paris go see it too, but I doubt that many Parisians bother (personally, when I used to live in Paris, I went to the Carrousel Gardens to watch the planes but that was pretty much it, I also used to walk around the area after the parade because there always were interesting pictures to be taken, I’ll post some tomorrow, if I don’t forget). The Arc de Triomphe a few hours after the Bastille Day’s Military Parade. During the day, nothing special happens, people do whatever they do on a day when they don’t work during Summer. It’s one of July 14th strongest traditions. Balls are organized in pretty much every city, town, village of France and people get together and dance (and/or drink, chat, meet other people). In big towns and cities, several balls are organized in different parts of the city. A few years ago, I was under the impression that this tradition was dying out, but I couldn’t be more wrong, after doing my homework, I can tell you that it’s alive and well. I’m not sure what are the origins of this tradition, but I think it goes with the imagery and mythology of the Revolution and the myth that the people were so happy and relieved that they were now free from the King’s oppression that they spontaneously started to dance together all over town (of course, that’s a myth). Also, you might have heard of the “bal des pompiers” (the firefighters ball). 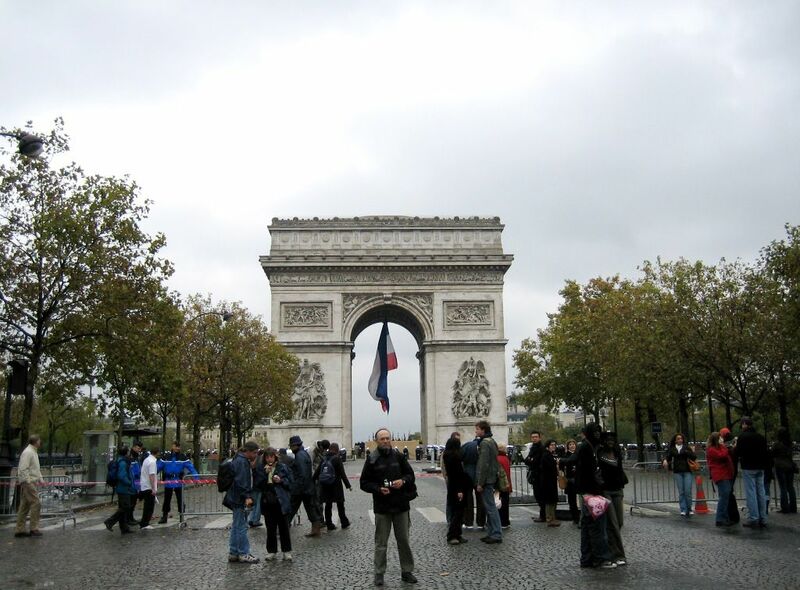 I’ve heard of it too… a few of years ago when I spent my first Bastille Day in Paris. Apparently in Paris, the Bastille Day’s balls are very often organized by the neighborhood’s firefighters (and they’re also used as fund raisers). It’s apparently a very vivid tradition in Paris, but it is by no means a French one. I had never heard of such a thing before moving to Paris (I’m not saying it’s only in Paris, but it’s definitely not common in France). In other towns, the balls are usually organized by the municipality and/or non-profit organizations. It is probably the most popular of Bastille Day traditions and celebrations. Almost every town and city that is big enough to afford it will have fireworks either on the night of the 13th or the 14th. And they’re hugely popular. Whether it’s a big city or a small town, it seems that almost everyone who’s in town will go see them. And apparently in Paris, it’s also a tradition for teenagers to be really annoying and blow up as many firecrackers as they can. Ok, I think that sums it up for what’s going on for Bastille Day in France. If I’m forgetting anything, the comments are awaiting your two cents. You forgot teenagers being even more annoying and blowing up letterboxes by dropping firecrackers in them. Mind you French teenagers are way less annoying than British teenagers with firecrackers (and the occasional mortar bomb) in the month leading up to Guy Fawkes Day. You also missed the retrait aux flambeaux, where the townsfolk gather to get flaming torches and chinese lanterns from the pompiers, then march through town behind a samba band, heading first for the chateau gates (I assume as a symbol of storming the Bastille) then down to the plan d’eau for the fireworks and bal populaire. At least, that’s how we do it in the town I live in. It’s on 13 July, and we have a population of about a thousand (one third of whom are in the maison de retraite) but the fireworks are always excellent and well attended. “Retraites aux Flambeaux” do exist, but they’re not part of the usual “package”. Now, the thing is that many towns have their own particular way of celebrating the day as there are no “rules” about it. Concerning retraites aux flambeaux (for the non-French speakers among you, it’s some sort of procession where everyone holds a lantern), I feel that they’re dying out. When I was a kid I remember attending a few, but I don’t think I had even heard or read the term. in more than 10 years before you wrote it in your comment. What’s interesting about your town, is that I tend to associate “retraites aux flambeaux” with religion, so it’s a pretty peculiar thing for July 14. And thanks for the share. Pretty much right; however, in many of the villages in our region of Alsace, there’s a lot of food offered at the ball. Our village also has a nice ceremonial vin d’honneur. As I mentioned answering to Susan’s comment, many towns have their own ways of doing things. I suspect Alsace even more so than many other parts of France; Alsace has a lot of its own traditions, and also, Alsace was not part of France anymore when July 14th became a national holiday, so the holiday came later to that region (1918) and must have taken a special signification then. Why would you want to see the fireworks from your hotel when you’d be walking distance from a good spot? To clarify… Could you see the fire works from that area ? Or do you suggest we walk to champs de mars & sit on the lawn ? Could you recommend a good place to sit & watch the fireworks? Time to get there so we could get a seat? What to bring? I see what you mean. So, no, you don’t have to go to the Champ de Mars to see the fireworks, but where you can see it from mostly depends on the buildings that are around you. I’d say that if you have a clear view of the Eiffel Tower, then you should see the fireworks. Now, with that being said, the fireworks are designed to be seen from the Champ de Mars, so they may not look as beautiful from somewhere else. Hi there, I’m from Sanary sur Mer in the south of France and I can say that this particular holiday is also referred to as La Fete de la Bastille. In fact, although it is indeed officially called Fete Nationale, I’ve never heard people call it that, only in the written press or on TV. We know it’s the Fete Nationale but as you said we just call it Le 14 Juillet. As for the Retraite au Flambeau, I only remember this from my childhood and it was exclusive to Le 15 Aout which relates to La Saint-Pierre, patron of fishermen and obviously celebrated here as Sanary is a seaside resort and fishing port. Yes, my memories of Retraite aux Flambeaux are quite fuzzy, the last time I saw one, I must have been 5 or 6 (that’s the 70’s), but I didn’t research about them as I really don’t think it’s part of the Bastille Day traditions. Indeed, that something that must be much older, I’m tempted to say Middle Ages and as you mention August 15th, yes I think it has religious undertones. Definitely not a 14th of July thing.